The still confidential agreement between the Holy See and China on the appointment of bishops generated, as expected, mixed reactions inside and outside the Church. 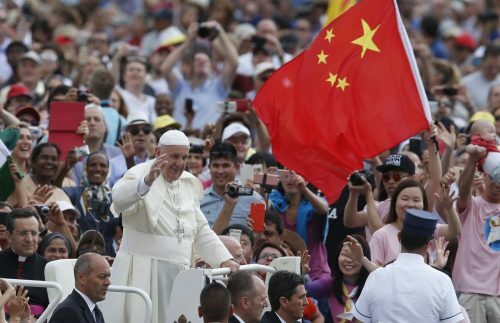 On the one hand, there are those who underscore that Pope Francis sold out the Church, and in particular the underground Church that for years remained faithful to Rome and rejected to be part of any kind of nationalist policy pushed by Beijing. On the other hand, there are those who support the agreement, and consider it necessary in order to allow the Bishops to carry forward their pastoral work. There is a third aspect of the China deal that is not being fully considered, and that would make the agreement prone to be superseded soon: the demise of nation states. Both China and the Holy See are aware of that. China, for the first time in history, decided that a “foreign country” can have a say on the hierarchy of bishops, that China wanted to keep for itself in the name of fidelity to national principles. A move that reveals China knows that, soon, its state model will be in crisis. Seen from this point of view, the deal is a needed passage, a compromise for freedom in which “everyone loses something,” as Pope Francis explained returning from the trip to Lithuania, Latvia and Estonia. The loss is faced looking to a wider picture: the Church longs for the freedom of her bishops, a dream that now could come true; China tries not to fall behind current trends, showing openness in order not to disappear in the world. Some more explanations are required. In recent times, China has ever more developed the notion of “sinicization,” while president Xi Jinping’s power, after the reform of the office of the president, became almost eternal. China is thus responding with an unprecedented nationalization campaign to the challenges of governing a huge State, with many local powers, each one with a specific weight. Even religions, according to Chinese doctrine, are called to conform to the process of sinicization, be faithful to the homeland and keep those basic principles that make the country unique in the world. However, this particular model of the nation state is undergoing its own demise. The nation state system was created after the Westphalia peace in 1648, and further shaped around ethnic communities after the fall of the four big empires around the First World War. Now, that system is in a crisis, as is the balance between state, economic resources and population. This balance was aimed at letting politics exert control over resources for the people. Nowadays, economic forces have taken the lead. States are not important anymore, as the big multinational companies’ weight is far more impactful. These multinational companies go beyond State borders and draw new borders based on interests. With their influence on politics, they overcome any popular will and the notion of the common good, obviously seeking their own interest. This is the demise of nation states outlined by a brilliant paper on “The Guardian” by Rana Dasgupta. The article is part of a wider study that is likely to help us understand where is the world going. The demise of the nation state also affects China, and the aggressive sinicization policy probably signals that something is broken in the system and needs to be fixed. Even the Catholic Church is living a transition, becoming always more international. This transition is similar to what the Church lived some more than 100 years ago when the four empires fell. Cardinal Pietro Parolin, Vatican Secretary of State, described the situation in a lecture in Aquileia last July. What happened 100 years ago? The nation state had replaced empires, thus creating exclusive territorial identities which worked as the basis for genocides and displacements of people that have never been as dramatic as they were in the 20th century – just think about the Armenian genocide. Deprived of relations with the big empires, the Church had to rethink itself. It had not been a bad arrangement. The Church went along with empires for the sake of bringing forward her work of evangelization, otherwise impossible from the economic point of view. The link with Catholic kingdoms, that sometimes were given the possibility to sign off on bishops’ appointments, was needed because the Church could not reach those mission territories any other way. Cardinal Parolin recounted that the fall of big empires helped the Church to withdraw from this alliance with the throne, become more independent and more Roman, and entrust the Papal nuncios with wider pastoral commitments and fewer political ones, thus getting rid of the notion of protectorates that characterized missions. At that time, the Church opened a new missionary season based on inculturation and the formation and ordination of local clergy, as outlined in the Maximum Illud encyclical by Benedict XV. The separation from the throne, combined with strong roots in the territory by parishes and Catholic organizations, helped the Church to make a qualitative leap. The Church became independent from States and emphasized pastoral care, while the bond with Rome became indissoluble. This indissoluble bond with Rome was not liked by China, which was concerned that a “foreign power” could in fact create the conditions to destroy the State and the system. The way the Church worked and the patriotism of her priests helped the anti-ecclesiastical prejudice to collapse in Europe. The same did not happened after the Cultural revolution in China. The culture was different, the approach was different, and China’s fear that it could lose grip of what was a recently-established system was paramount. The China – Vatican deal brought China to make concessions. This is likely the reason why Taiwan, which has always been concerned that a Vatican-Chinese agreement would inevitably lead to the breaking up of Holy See – Taiwan relations, underscored that the agreement is of a “pastoral-religious kind,” and that relations between Taiwan and the Holy See were not affected by it. The Holy See however gave Taiwan all the guarantees. The 75 anniversary of diplomatic relations with Taiwan were commemorated last year by Archbishop Paul Richard Gallagher, Secretary for Relations with States, who reiterated the Holy See’s wish to continue to cooperate with Taiwan. Recently, the Holy See appointed a new nuncio to El Salvador, Archbishop Santo Gangemi. Traditionally, the nuncio to El Salvador is also nuncio to Belize, and the same was expected for Archbishop Gangem. Instead, Archbishop Fortunatus Nwachukwu, nuncio to Trinidad & Tobago, was appointed nuncio to Belize. One of the possible reasons is that El Salvador has broken relations with Taiwan and has them with China, and the Holy See did not want to risk putting the nuncio in an embarrassing situation by having responsibilities in a country that cut ties with Taiwan and another one that still keeps them. These small signals are a clue in a wider international scenario. The China deal is not ideal —as if China were holding a sharp knife, and any time the Holy See extends her hand she grabs the blade of the knife, and her hand bleeds. At the moment, there are no clues about how the Bishops will be appointed in China. The Vietnam model was mentioned, but even in this case things must be better explained. The Vietnam model works as follows: there is a period of consultation, at the end of which the Pontifical representative sends the outcomes of the discussion to the Congregation for the Evangelization of Peoples, that still has competence over Vietnam. The Congregation finalizes the set of three candidates, and presents it to the Pope. The Pope makes his choice, and – after that – the Holy See speaks with the Vietnamese government about the chosen candidate. The Vietnamese government ponders the possible candidate and eventually accepts it. After that, the Holy See makes the appointment public. It is yet to be known whether this procedure will be the same for China. 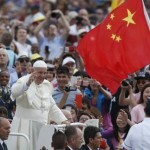 It seems that there will be a slight difference, and that the pre-consultation will be made at the level of the Chinese Bishops’ Conference – in its entirety composed by members of the Patriotic Association, and that the Pope will decide eventual appointments considering the opinion of the government on candidates, but not considering this opinion binding. Certainly, despite the deal, the experience of the underground Church in China will not come to an end. Priests who do not join the Patriotic Association remain, while illicit bishops are reintegrated in the Church, considering that the Pope lifted the excommunication of the seven bishops illicitly ordained. The deal must be understood as intending to help the hierarchy maintain relations with the government and being able at the same time to start a work of evangelization. To sum it pragmatically, the Holy See found an opportunity and exploited it. The deal was signed by the vice-ministers of Foreign Affairs of China and the Vatican, represented by Msgr. Antoine Camilleri. The United Front, in charge of religious affairs in China, was not involved. This is noteworthy. The deal was also signed when Cardinal Parolin, Secretary of State, was far away, in a trip with Pope Francis. This way, no objection could be raised to the fact that the Secretary of State did not sign this important agreement. The ranking of the signatories make the agreement a mid-level agreement. Likely, there is the notion to exploit the crisis of the Chinese State, that will grow together with the crisis of all the nation states. Was this deal worthy of the martyrdom of many Chinese and their fight for religious freedom? As of now, it is impossible to know. One can see, however, why the Holy See took it as a possibility to “enlarge the cage” of Catholics in China, according to an expression used by Archbishop Claudio Maria Celli, who has been in charge of Vatican policies toward China since the 1980s. The deal must be understood. It does not involve the concessions made to the government by the Protestant Three Autonomies Movement in 1950. It implies a continuous dialogue, and perhaps the agreement is a first step toward a new diplomatic model for the Holy See. A transition in a world where multilateral talks will be more important than bilateral talks. This is paradoxical, if we think that until now the Holy See was anchored in the bilateral model. But it is also a possibility, if we consider that the Holy See has always been ahead of the world in understanding what the future holds. And it is a necessity, if we consider a general push to change international relations. The possibility to transform international law into global law is always more discussed. It means that there is a discussion whether to switch from a law system that governs the relations among sovereign bodies on an equal position, to a law system based on human rights aimed at giving every individual the possibility to go beyond the state system to protect their fundamental rights. This notion of global law is used any time there are attacks against the Church’s sovereignty. For example, when the abolition of the secret of confession is proposed, as well as when the Pope is asked to be a witness on abuse trials in another country. There are also these issues behind the China deal. The real issue is now to look at international relations.